My maternal ancestors have Irish and Scottish heritage. On my Mom’s father’s side, I can trace the Mackey clan back to my great-great-great grandfather William Mackey (1760-1852). He married Deborah (1775-1848) and they had four chilldren, the oldest of whom, was my great-great grandfather Alexander (1794-). His siblings were John, Thomas C. and Elizabeth. Alexander married Susanna Forsythe (1797-), and after Maria, Barnett, Marion and William were born, their son David Forsythe Mackey was born in 1791, followed by a younger brother Robert. David was my great grandfather and he married Sarah Proudfit (1833-) who gave birth to 10 children: Etta, Carrie, William Patterson, Ure Laverne, Clint, Alexander, Bertha, Harry, McDonald and Vinnie. Their son William Patterson Mackey (1865-1945), my grandfather, married Martha Ruth Lawhead (1893-1965) In 1914. William was 28 years older than my grandmother whom we all called Nonnie, and he was the first of her three husbands. William and Ruth had two children, my Aunt Ruby Lucille (1915-2002) and my mother Shirley Martha Mackey (1918-2007). Nonnie’s family can be traced back to my great-great-great-great grandfather William Laughead Sr., born 1778. William Sr. married Rebecca (1772-1836) and they had a son William Jr. (1803-1885). William Jr., my great-great-great grandfather, married Rebecca Saffer (1808-1884), and their three children were Susan, George William, and Cynthia. It was apparently my great-great grandfather George William (1830-1903) who changed the spelling of the family name to Lawhead. George married Martha Anne Wiles and they had four children: Frankie Jane (1857-), my great grandfather Alva Thornton (1860-1954), Mary Kate (1869-1901), and Inez George (1893-). Alva married my great grandmother Cora Luce (1871-1967) who had four children: George William, my grandmother Martha Ruth, Carlyle, and William F.
It’s interesting to note that the two oldest ancestors for my mother were both named William, and even though William Mackey (b 1760) was born 12 years earlier than William Laughead (b 1772), the Mackey line goes back one less generation. This is primarily explained by that fact that great grandfather William Patterson Mackey was 53 when his daughter Martha Ruth (Nonnie) was born. He and I never met since he died in 1945, the year before I was born. I’m a fourth cousin once removed. Found you via your 23andme profile. I can see by this part of your blog that we’re related through my grandmother, Altha Ann Lawhead, daughter of Charles Ferris, son of Thomas Harvey, son of James (1790-1832). Now here’s the really odd thing – my son’s girlfriend of 3 years is Lily Saffer! Would love to share Lawhead/Laughead info with you. I’m a retired librarian in Michigan. Hi – I changed your comment to reflect that it’s me, David, that has this site. My Dad Harold was married to Shirley who’s mother was born 1893 as Martha Ruth Lawhead. When would your grandmother Altha have been born? 4. James Lawhead, born about 1790 in PA, ‘Mr. Lawhead was a drover and stock buyer, and was known to carry considerable money with him at times. It was on one of these business trips that he left his family, never to come back alive. He took lodgings at a tavern in a little country town, and in the night was murdered in a chamber room of the house, robbed of his money and his body thrown from the window.’ Happened in 1832. “The widow The widow (Jane Byrd White) and her five childi’en subsequently accompanied her father to Adams County. Penn. , where they remained until the spring of 1845”. 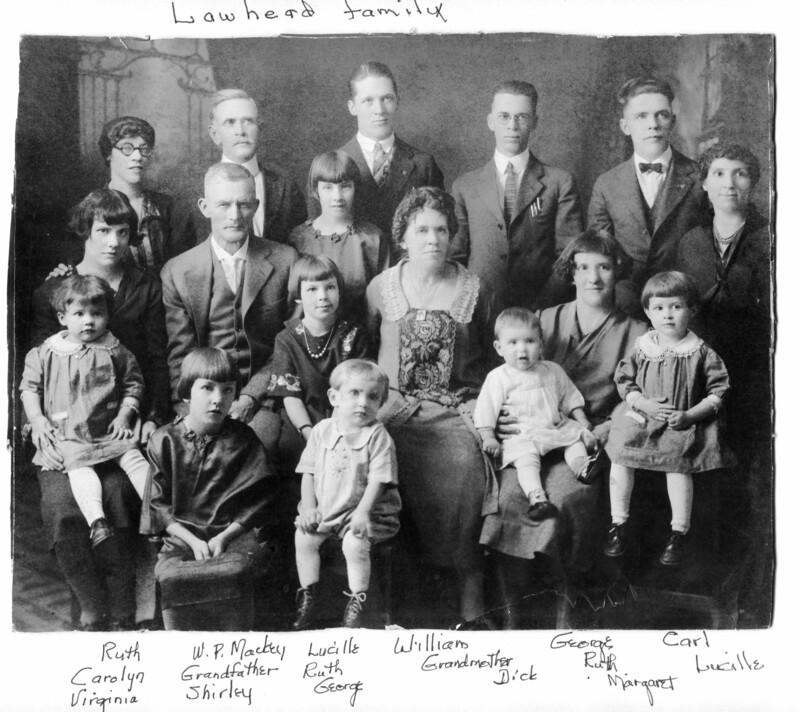 Then Jane Lawhead and her children moved to Seneca County, Ohio.